Phong Nha Ke Bang National Park is one of the most impressive places I visited while motorbiking across Vietnam. There seems to be a surprise around every turn here. You will find some mega caves here, seriously massive caves, like the world’s largest and third largest cave. What’s crazy is that they’ve only been discovered in recent years so there’s probably more undiscovered caves about. 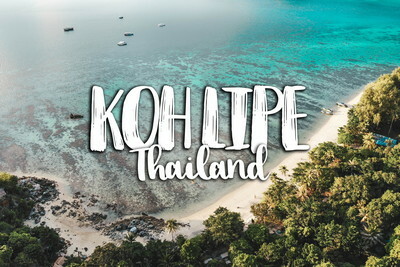 Then you will get the laid-back farm stays, where you can catch your own dinner and enjoy views of and stunning sunsets over the rice fields. Who wouldn’t want to kick back in the countryside for a few days? 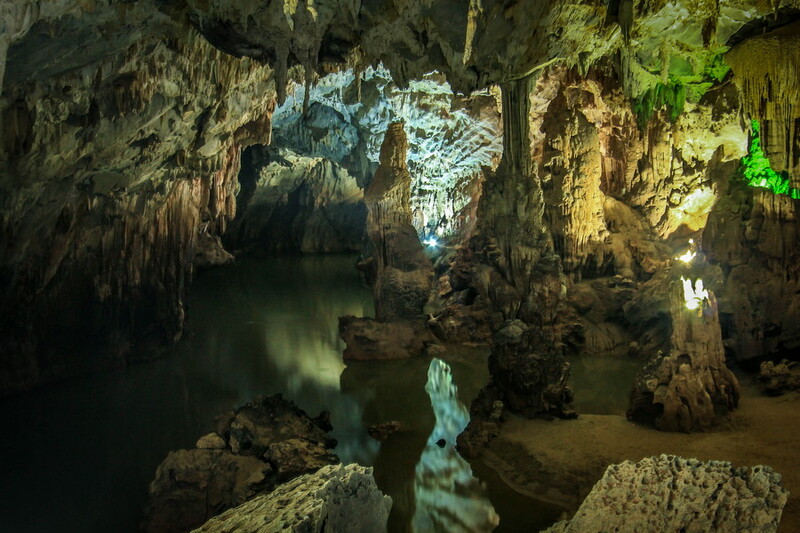 Many people visit Phong Nha Ke Bang national park only for a day or two to see one of the caves. However, I recommend staying at least two nights and three days. Believe me, you’re going to love this beautiful part of Vietnam. Where is Phong Nha Ke Bang National Park? Phong Nha Ke Bang is located in the northern half of Vietnam. 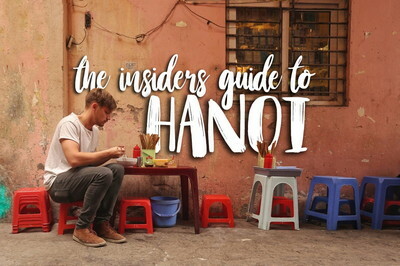 It is 500 kilometers south of Hanoi, which definitely makes it more than a day trip. The closest major towns are Khe Sanh 190 kilometers to the south, and Ninh Binh 400 kilometers to the north. 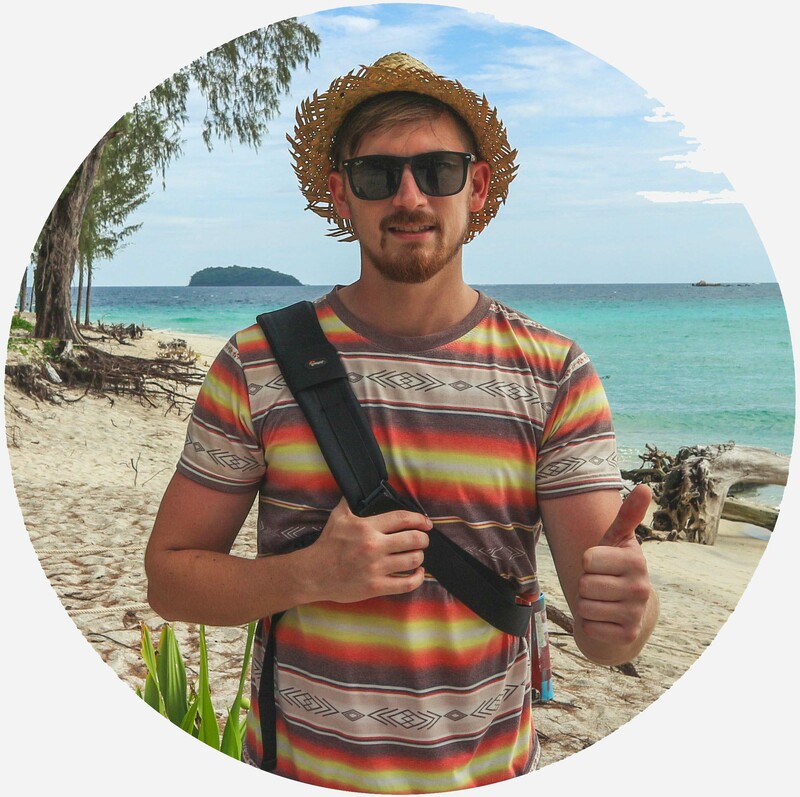 Best summed up, Phong Nha is pretty much in the middle of nowhere. 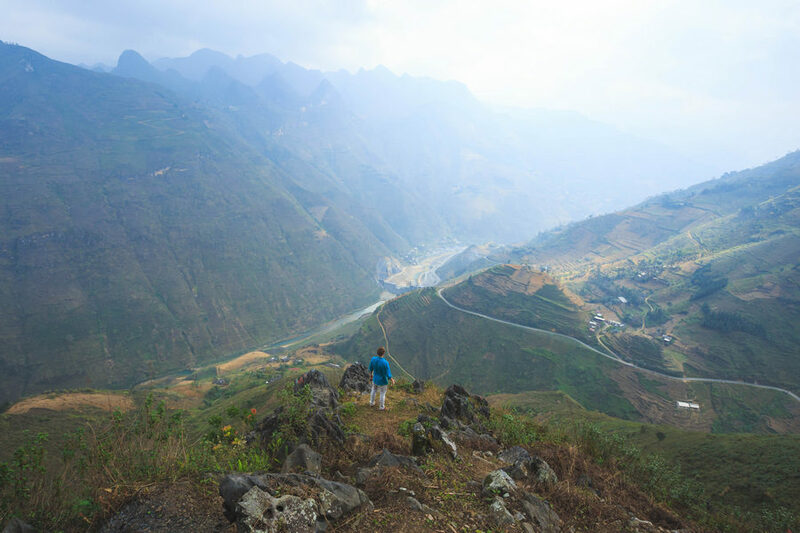 It is located at the end of long and windy, mountainous jungle track called the Ho Chi Minh Trail West, and that’s the least traveled route heading north. The Phong Nha Ke Bang National Park is home a whole collection of caves. Some of the most famous caves include; Paradise Cave, Phong Nha Cave, Hang En Cave, and the world’s largest Hang Don Soon Cave. Oh, and by the way, Hang means cave in Vietnamese. The township in Phong Nha is located on the west side of the park, where the road from Hanoi intersects. This is where you will find a smattering of bars and budget guesthouses. But now, let’s get on with some detailed information on the caves! 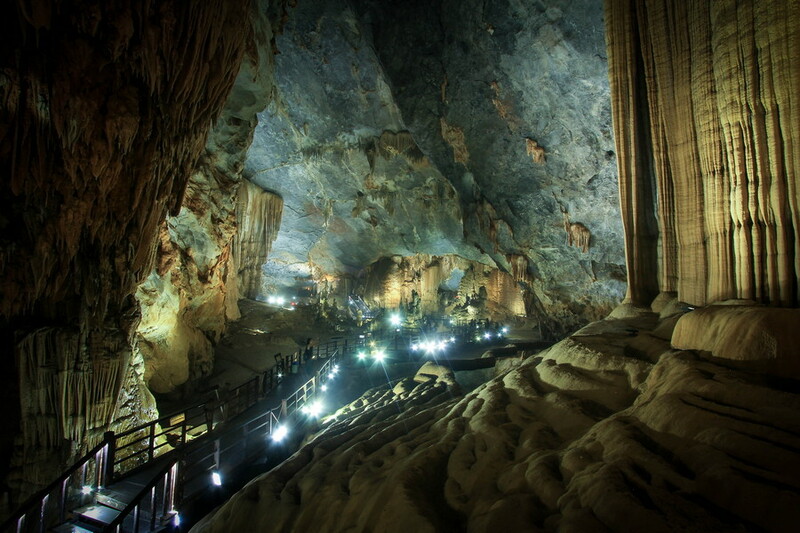 It is the caves which draw most tourists to the Phong Nha Ke Bang National Park. There are plenty of discovered caves around, and probably even more undiscovered ones right below your feet! In fact, Hang Son Doong is the largest cave in the world. It was discovered by a local farmer in 1991 but only properly explored by cave experts in 2009, and opened to the public a few years later. Here are a few of the top caves to visit in Phong Nha. 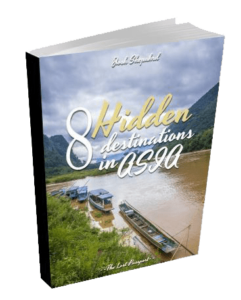 The easiest and most common cave to visit in Phong Nha. Tour boats wait out the front of the cave and take you inside along the underground river. The entire tour lasts about 30 minutes. 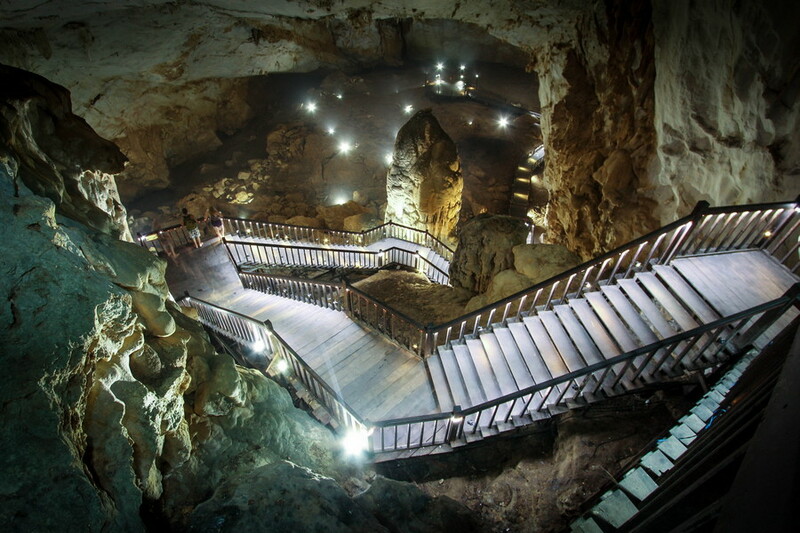 You will get a chance to hop off the boat and walk around the footpaths inside Phong Nha Cave. The cave is lit up with a whole lot of oddly colored lights. Honestly, the lights are a bit tacky and could be improved a lot by taking Paradise Cave as an example. Phong Nha Cave was definitely not my favorite cave in the national park. Paradise Cave is the definition of epic. Only discovered in 2009, the cave opens up with a massive cavern and has beautiful stalactites hanging from the roof. To get to the entrance of the cave you need to climb the trail outside first. Once you enter the cave it feels like you’ve just traveled to another world. The cave is lit up really well in a way that emphasizes the mega stalactites and stalagmites which have formed over millions of years. This cave is for the adventure seekers who don’t have the time or budget to venture out on a multi-day trek to Hang En or Hang Son Doong Caves. The entrance to Dark Cave is via Vietnam’s longest zip line. From the entrance of the cave, you need to swim across an underground river, before crawling through a pitch-black narrow cavern. The Dark Cave lives up to its name. You will need to wear a headtorch to find your way through, otherwise, you could be spending the rest of your days lost in the dark caverns here. This is the largest cave in the world, and only properly explored for the first time in 2009. You can only visit Hang Son Doong as part of a 3-4 day trekking package which limits the number of tourists visiting. As part of this package you will get to camp two nights inside Hang Son Doong Cave, and then spend another night at a local farmstay. Hiking packages cost around USD 3000. This is the third largest cave in the world. 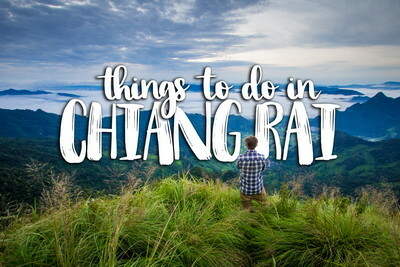 You can only visit Hang En Cave as part of a 2-day 1-night trekking package. This limits the number of visit tourist that can visit each year. Hiking packages to Hang En Cave cost around USD 350. If you want to visit one of the world’s largest caves without totally blowing the budget then this might be your option. 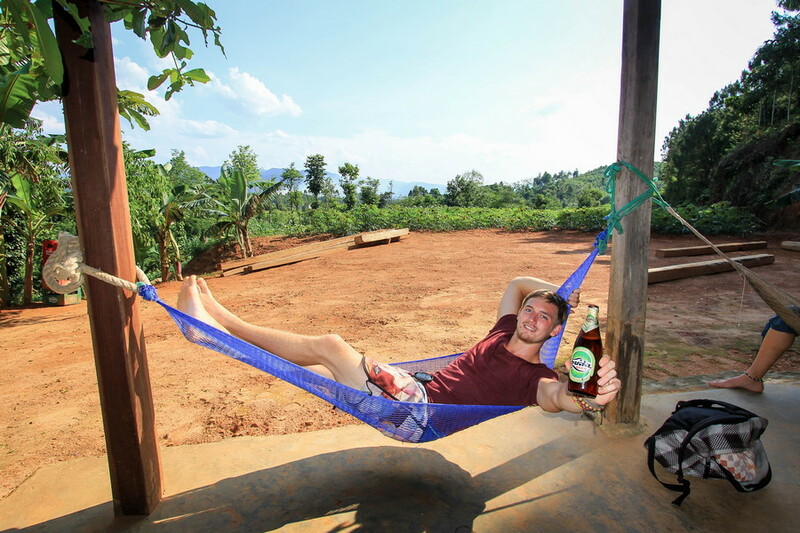 After a long day of exploring the caves, the Phong Nha Farmstay is one of the perfect places to hang out. There is a pool downstairs which paying customers can use, however, the nicest spot is up on the rooftop bar. I love kicking bar up here with a cold 333 Beer enjoying the amazing views of rural Vietnam. I reckon that the Phong Nha Farmstay is the number one spot to catch an epic sunset in Phong Nha! You can also book a whole range of cave trips and other hiking packages at the Phong Nha Farmstay. 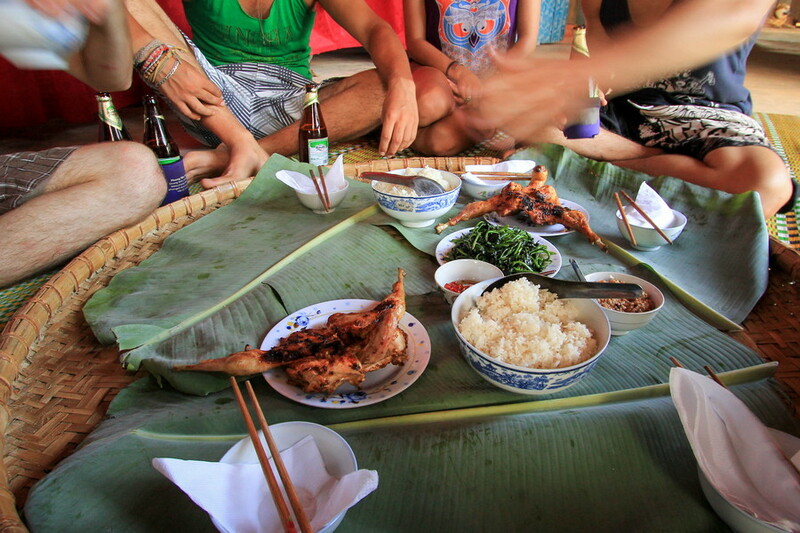 The Phong Nha Pub With Cold Beer was one of the most memorable experiences I had here. While we didn’t actually stay overnight, we had an awesome few hours hanging out with the family and easting some really tasty food. The meal at the Pub With Cold Beer is a real farm to table experience. The chickens are killed, plucked and cooked in front of you. The peanuts for the satay are grown on site, and so too are al the vegetables. The meal preparation takes a couple of hours. That might seem long, but it gives you a reality check on how long fresh food actually takes to prepare. After lunch, you can cruise down the river on some old tire tubes. 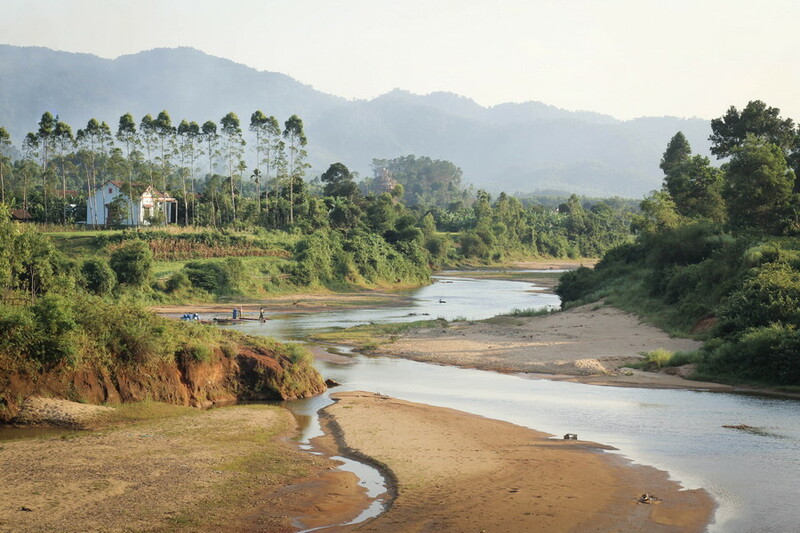 It’s super relaxing slowly drifting down stream through the rural landscapes of Vietnam. With a cold bottle of beer in hand, it’s even that much better again. 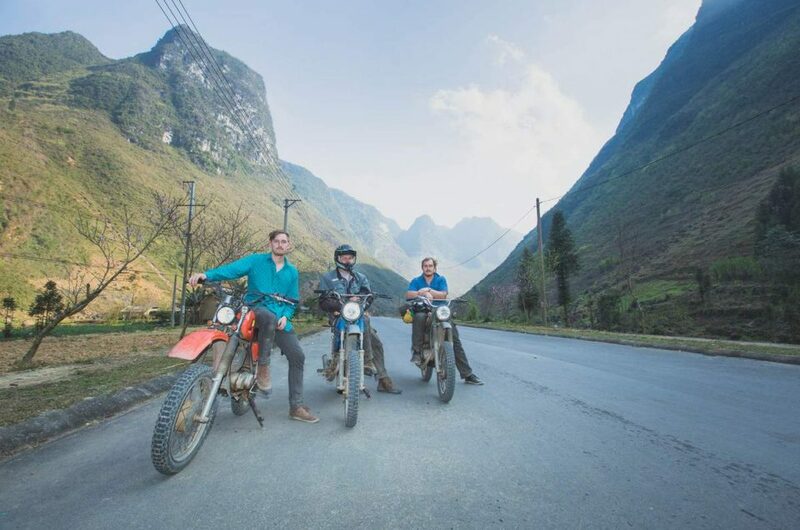 I personally got the Phong Nha by motorbike from Khe Sanh along the Ho Chi Minh Trail West. Get all my tips in my full article on that ride. 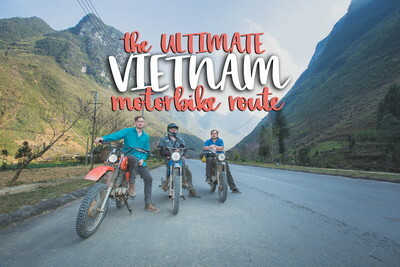 If you’re not motorbiking you can also get to Phong Nha Ke Bang by bus from Hanoi. Overnight buses depart from Hanoi at 6pm. The trip is about 10hrs and costs 15 USD per person one way (tickets available here). There is a range of budget guesthouses located in Phong Nha village. 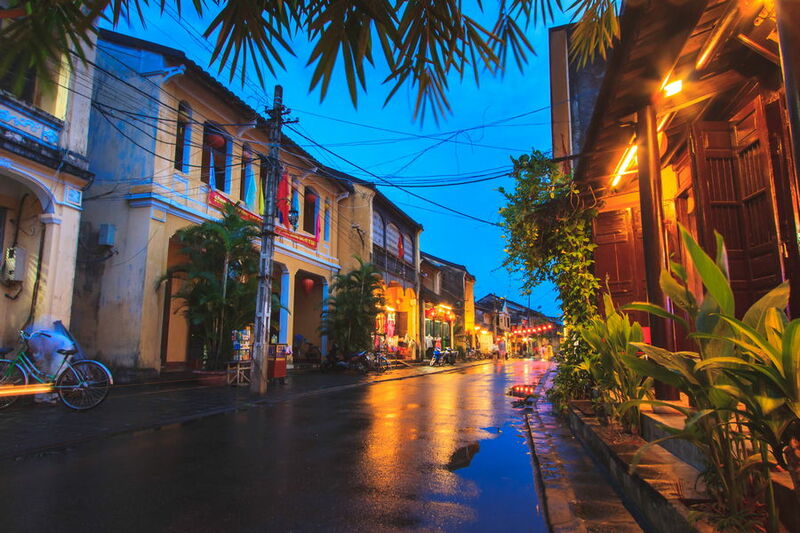 The village is located where the road leads in from the Ho Chi Minh Trail West on the south and the main road from Hanoi on the north. 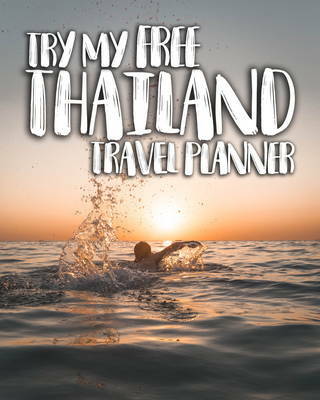 If you want to a lively environment where you will meet plenty of other travelers, then I’d suggest the Phone Nha Farmstay. There are private and form rooms available. 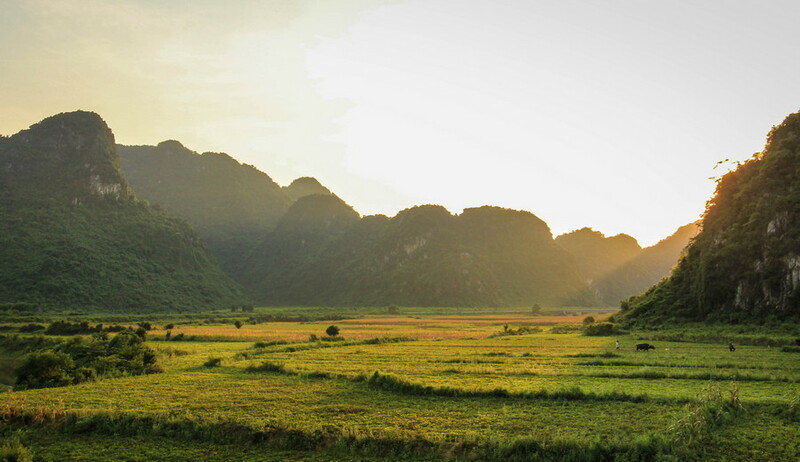 As I mentioned above, this is also the best place to catch an epic sunset in Phong Nha Ke Bang National Park!